The newly formed coalition government of Norway, led by Conservative Prime Minister Erna Solberg, announced on January 14, 2018 a pledge to end all fur farming in Norway, with the phase-out complete by 2024/2025. Norway is the 14th European nation to phase out fur farming. Belgium, Germany, and Luxembourg are also considering legislation to ban fur farming. The United Kingdom was the first to institute a ban in 2000, followed by Austria in 2004. The Netherlands, the second largest mink producer in the European Union, is currently phasing out fur farming, also expected to be complete by 2024. PETA UK estimates that there are currently 300 fur farms in Norway, breeding and killing 700,000 minks and 110,000 foxes yearly. The Norwegian animal activist groups Dyrebeskyttelsen Norge, Nettverk for Dyrs Frihet, and NOAH have been campaigning for the ban for years. Since 2003 NOAH has organized a yearly anti-fur march, which has become the largest anti-fur event in Europe. Speaking in regard to the 2015 protest, NOAH director Siri Martinsen said, “In our demand for a fur-free Norway, we have gained support from the majority of the Norwegian population, the Norwegian fashion industry, several professional bodies such as the Norwegian Veterinary Association, five political parties and 200 celebrities. It is starting to become a serious democratic problem that a ban on fur farming is still not in place.” Over 13,000 people took part in the 2016 protest, the largest anti-fur protest in Europe to date. 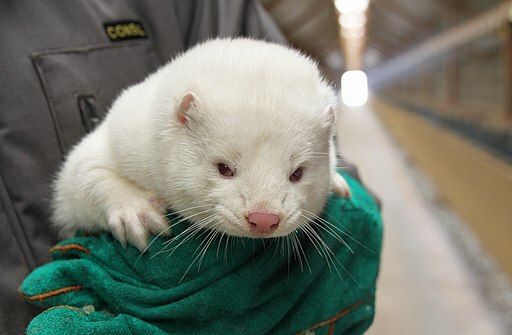 Minks account for the highest number of animals being farmed for their fur. Fur famers in China kill about 35 million minks every year, making it the country with the highest percentage of minks killed. There are few animal welfare regulations in effect. Peter Li, a China expert with Humane Society International, notes that “cruelty and inhumane treatment remain rife” in the industry. As recently reported in the Humane Herald, many fashion lines have discontinued or announced phase-outs of the use of fur in their garments. Norway previously made animal rights news in 2016 by banning the use of elephants and other wild animals from circuses.